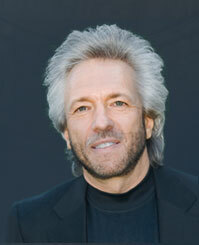 Gregg Braden is an author whose books bridge science and spirituality. His early career involved being a Computer Geologist for Phillips Petroleum, followed by work as a Senior Computers System Designer for the US government during the last years of the cold war and finishing up with a position as First Technical Operations Manager for Cisco Systems, the company responsible for assuring the world-wide reliability of the internet in its early years. For over the last 27 years Braden has searched mountain villages and remote monasteries, talked with spiritual teachers and adepts, and sought out forgotten texts in pursuit of past knowledge and spiritual wisdom. He believes the key to our future lies in reviewing the wisdom in our past. Gregg's author website has information on his books and speaking dates, an enewsletter, a video gallery and a fractal time calculator. On his Facebook page Gregg communicates events, and tours and posts about things that interest him. The old World no longer exists. With what we know, we can make new choices and move forward. Five false assumptions that are wreaking havoc in the world today. Best-selling author and visionary scientist Gregg Braden suggests that the hottest topics that divide us as families, cultures, and nations-seemingly disparate issues such as war, terrorism, abortion, genocide, poverty, economic collapse, climate change, and nuclear threats-are actually related. They all stem from a worldview based upon the false assumptions of an incomplete science. The obsolete beliefs of our modern worldview have brought us to the brink of disaster and the loss of all that we cherish as a civilization. Our reluctance to accept new discoveries about our relationship to the earth, one another, and our ancient past keeps us locked into the thinking that has led to the crises threatening our lives today. The scientific method allows for, and expects, new information to be revealed and assimilated into our existing beliefs. It's the updating of scientific knowledge with the new facts from new discoveries that is the key to keeping science honest, current, and meaningful. To continue teaching science that is not supported by the new discoveries-ones based upon accepted scientific methods-is not, in fact, scientific. But this is precisely what we see happening in traditional textbooks, classrooms, and mainstream media today. Deep Truth reveals new discoveries that change the way we think about everything from our personal relationships to civilization itself. When the facts become clear, our choices become obvious. Amazon Synopsis: Between 1993 and 2000, a series of groundbreaking experiments revealed dramatic evidence of a web of energy that connects everything in our lives and our world—the Divine Matrix. From the healing of our bodies, to the success of our careers, relationships, and the peace between nations, this new evidence demonstrates that we each hold the power to speak directly to the force that links all of creation. What would it mean to discover that the power to create joy, to heal suffering, and bring peace to nations lives inside of you? How differently would you live if you knew how to use this power each day of your life? Join Gregg Braden on this extraordinary journey bridging science, spirituality and miracles through the language of The Divine Matrix. Amazon Synopsis: In his latest book, former senior computer systems designer and bestselling author Gregg Braden merges these ancient and modern world views into a powerful new model of time. Marrying the modern laws of fractal patterns to the ancient concept of cycles, he demonstrates how everything from the war and peace between nations to our most joyous relationships and personal crises are the returning patterns of our past. As each pattern returns, it carries the same conditions of previous cycles—fractal patterns that can be known, measured and predicted! Amazon Synopsis: In this book what we once believed of our past is about to change. Through a remarkable discovery linking Biblical alphabets to our genetic code, the 'language of life' may now be read as the ancient letters of a timeless message. During his extensive 12-year study of the most sacred and honoured traditions of humankind he has discovered tangible and unprecedented evidence that we are all part of a greater existence. Amazon Synopsis: A Groundbreaking Interpretation of Prayer, Quantum Science, and Prophecy. Only one document was discovered completely intact among the 25,000 fragments of papyrus, parchment, and hammered copper known as the Dead Sea Scrolls: the Great Isaiah Scroll. Nearly one thousand years older than existing copies of the Old Testament's Book of Isaiah, the twenty-two-foot-long parchment was still rolled and sealed in its original earthen vase when it was discovered in 1946. The completeness of the Isaiah Scroll offers unprecedented insight into the power of an ancient mystery -- a lost mode of prayer -- that modern science is just beginning to understand. Displayed today in Jerusalem's Shrine of the BookMuseum, the Great Isaiah Scroll is believed to be so precious by modern scholars that it's withdrawn into a vault beneath the building's floor in the event of a natural or man-made disaster. In The Isaiah Effect, the dazzling new work from the author of Awakening to Zero Point and Walking Between the Worlds, scientist and visionary Gregg Braden offers a radical departure from traditional interpretations of Isaiah's text. Weaving state-of-the-art research with his extensive knowledge of the ancient Essenes (the creators of the scroll texts), Braden invites us on a journey where science and miracles are merged into a new wisdom -- and lead to a startling conclusion. He suggests that Isaiah, the first Old Testament prophet, left precise instructions to the people of the future describing an unconventional mode of prayer. Amazon Synopsis: Long before 2012 entered the public eye, a handful of pioneers dedicated themselves to studying the scientific, spiritual, and prophetic evidence that marks this year as a critical time in our planet's history. On The Mystery of 2012, eight of these thought leaders present reliable research alongside eye-opening revelations--all to help you prepare for what lies beyond this crossroads. This companion audio to the book The Mystery of 2012 brings you new material from prominent journalists, futurists, and scholars about this emerging phenomenon, including: John Major Jenkins on the prophecies encoded in the original Mayan calendar--and how they are manifesting in our time. Daniel Pinchbeck on "the make-or-break point" in human history, which factors will decide our fate for good or ill. Peter Russell on the accelerating pace of evolution: why 2012 will be a "singularity in time" for humanity. Jean Houston's exploration of the new spiritual renaissance that could unlock our untapped potential New recordings from Barbara Marx Hubbard, Carl Johan Calleman, Corinne McLaughlin, and Ervin Laszlo. Some fear the world will end in 2012. Others predict another over hyped "Y2K" no-show. What will really happen? Here is your chance to hear from some of the most informed and intriguing experts about this upcoming landmark as they explore The Mystery of 2012. Amazon Synopsis: “There are beautiful and wild forces within us.” With these words the mystic, St. Francis, described what ancient traditions believed was the most powerful force in the universe—the power of prayer. For more than 20 years, Gregg Braden, the best-selling author of The God Code, has searched for evidence of a forgotten form of prayer that was lost to the West following the Biblical edits of the early Christian Church. In the 1990s, he found and documented this form of prayer still being used in the remote monasteries of central Tibet. He also found it practiced in sacred rites throughout the high deserts of the American Southwest. In Secrets of the Lost Mode of Prayer, Braden begins by describing this ancient form of prayer that has no words, or outward expressions. Then for the first time in print, he leads us on a journey exploring what our most intimate experiences tell us about our deepest beliefs. Through case histories and his personal sharing, Braden explores the wisdom of these timeless secrets, and the power that awaits each of us, just beyond our deepest hurt! Amazon Synopsis: What would it mean to discover that everything from the DNA of life, to the future of our world, is based upon a simple Reality Code—one that we can change and upgrade by choice? New revelations in physics and biology suggest that we’re about to find out! A growing body of scientific evidence suggests that our universe works like a Consciousness Computer. Rather than the number codes of typical software, our Consciousness Computer uses a language that we all have, yet are only beginning to understand. Life’s reality code is based in the language of human emotion and focused belief. Knowing that belief is our reality-maker, the way we think of ourselves and our world is now more important than ever! For us to change the beliefs that have led to war, disease, and the failed careers and relationships of our past we need a reason to see things differently. Our ancestors used miracles to change what they believed. Today we use science. The Spontaneous Healing of Belief offers us both: the miracles that open the door to a powerful new way of seeing the world, and the science that tells us why the miracles are possible, revealing: why we are not limited by the “laws” of physics and biology as we know them today. Amazon Synopsis: Entanglement, the new novel based on the teachings of New York Times best-selling author Gregg Braden, explores the exciting world of quantum physics through the experiences of twin brothers. Charlie and Jack Franklin have always experienced life differently than your average brothers. As children, each was able to sense when the other was in danger, when the other was sad, or when the other was happy. However, as adults, these two brothers took different paths: Jack stayed in their hometown to practice his art and Charlie joined the army, only to be deployed to Afghanistan. After a frightening vision jolts Jack into consciousness, he begins his quest to get in touch with Charlie. Along the way, he encounters his high-school physics teacher, who helps him understand the connection the brothers have and the larger universal oneness of which we are all a part. Amazon Description: In Kabbalah, the personal name of God is sacred. More than 2,300 years ago, God’s name was removed from the religious texts that link over one half of the world’s population, in order to safeguard its use. What would it mean if The Divine Name—the personal name of God encoded within the DNA of all life—could be reproduced with the human voice in its original form? Now you can experience the power, mystery and healing of The Divine Name, re-created through the sounds that unite, rather than the letters that divide! 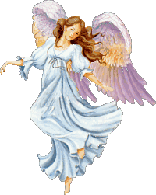 The power of healing and peace Through The Divine Name is available once again. . . . Enclosed is an accompanying booklet that delves into this topic in detail. Amazon Description: The Gregg Braden Audio Collection brings together for the first time his revolutionary works / including a bonus CD with all new teachings, available nowhere else. Boxed set includes: Beyond Zero Point / Introduces Gregg Braden's pioneering theory that hidden within the earliest prophecies of the Essenes, Hopis, Egyptians, and others lies a universal and sacred sect of technologies with the capacity to alter the future of civilization. / The Isaiah Effect / Bridging new insights into the physics of time with ancient wisdom from the Dead Sea Scrolls, Braden reveals how to harness the awesome potential of both prayer and prophecy to create /the Isaiah Effect/ / a transformative tool for healing the planet and ourselves. / The Lost Mode of Prayer / Through freshly translated texts of the Dead Sea Scrolls, Braden exposes the inner workings of a potent force for creating profound changes in ourselves and those around us. / Plus an all-new 60-minute CD on the practice of prayer. Amazon Description: What if the beliefs you have about yourself and the world are wrong? How differently would you live if you discovered that you possess the power to choose the way you deal with longevity, health, and even life itself? Such a radical discovery would change everything about the way you see yourself! In The Spontaneous Healing of Belief, you will discover that you are not limited by the laws of physics—nor by the laws of biology . . . and that the DNA of life is a code that may be changed and “upgraded” by choice! In this life-altering CD program, best-selling author and lecturer Gregg Braden shares 15 keys of conscious creation that show you how to translate the miracles of your imagination into what is real. With easy-to-understand science and real-life stories, Gregg shows you that you are limited only by your beliefs . . . and what you once believed is about to change!